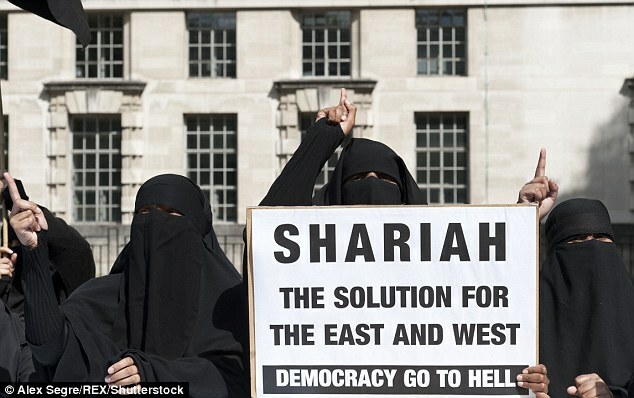 Sharia law should never become part of the British legal system, the Archbishop of Canterbury said yesterday. Justin Welby said the Islamic rules are incompatible with Britain’s laws, which have developed over 500 years on the principles of a different culture. He added that high levels of immigration from Muslim countries can ‘have an impact on the accepted pattern for choosing a partner, on assumed ages of maturity and sexual activity, and especially on issues of polygamy’. 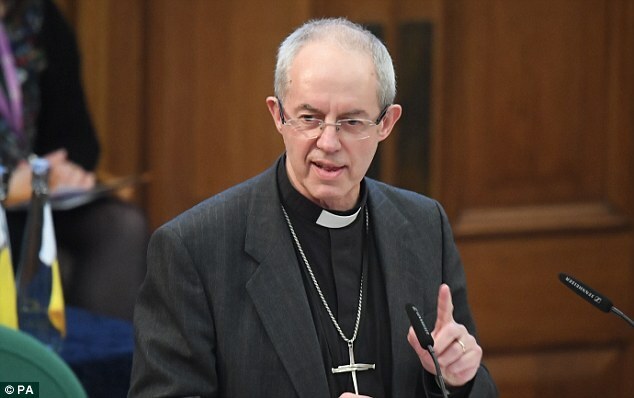 Archbishop Welby’s comments follow the release earlier this month of a highly critical Home Office report that said all couples marrying in mosques should also have to go through a legally-binding civil marriage ceremony to shield wives from injustices under sharia. They also reverse the position taken by his predecessor Lord Williams, who backed incorporating sharia into the British legal system. Archbishop Welby set out his reasons why sharia should not win official status in a book, Reimagining Britain. He said yesterday in advance of publication that British law has ‘underlying values and assumptions’ that come from a clearly Christian tradition. ‘Sharia law is not just about punishments,’ he added. ‘It is something of immense sophistication, but it comes from a very different background of jurisprudence to the one from which British law has developed over the past 500 years’. 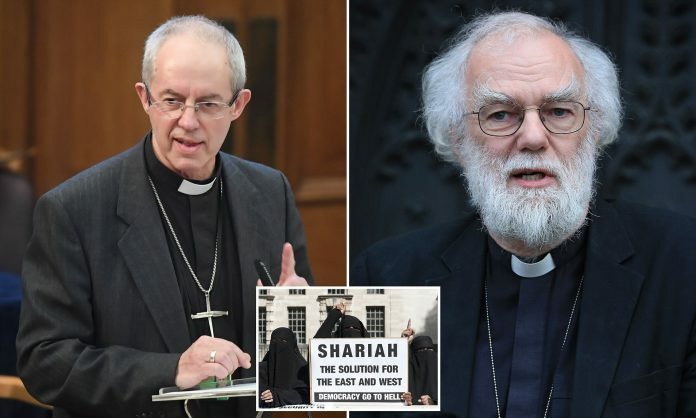 The Archbishop said in his book that the arrival of large numbers of Muslims in Britain – there are thought to be 3.3million here – has led many to challenge the values of the majority population. Among these are the right of people to choose their own husband or wife, and the need for monogamous relationships. ‘The problem is reimagining Britain through values applied in action can only work where the narrative of the country is coherent and embracing.’ The Archbishop said: ‘Sharia, which has a powerful and ancient cultural narrative of its own, deeply embedded in a system of faith and understanding of God, and thus especially powerful in forming identity, cannot become part of another narrative.